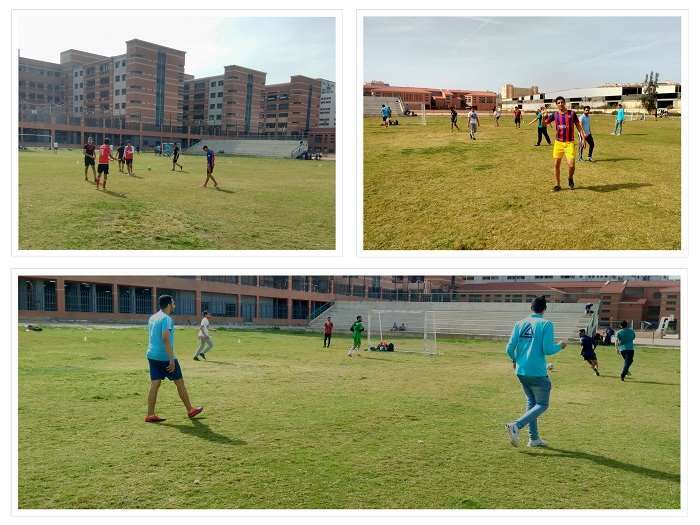 Under the auspices of the Student Activities Department, Apex Team (a student-led club at the faculty of Engineering) organized a football tournament for all PUA students on Saturday 3/3/2018 at the university grounds. About 16 teams from different faculties participated in the football tournament in competition for the cup. This was held in the presence of a large number of students, faculty members and teaching assistants.